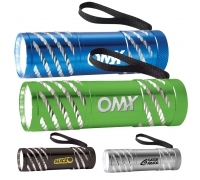 Custom aluminum LED flashlight is made up of alloy aluminum case and offered with strap, which makes it easier to carry. 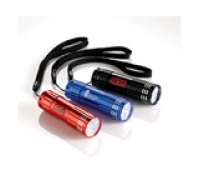 This aluminum LED flashlight is lighted with 9 LEDs and is powered with 3 AAA batteries. 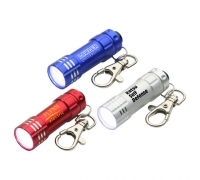 The flashlight is compact and light to use and it can be carried in bags, purses, etc. 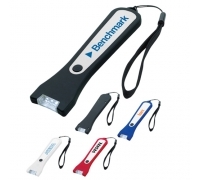 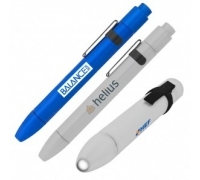 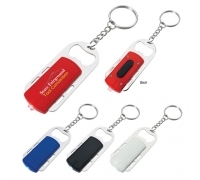 Advertisers who are eyeing long term benefits from one time investment can always rely on this flashlight.